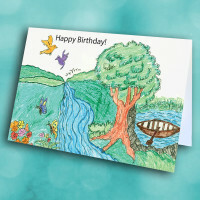 Send a truly one-of-a-kind, unique birthday card with this wonderful nature scene. 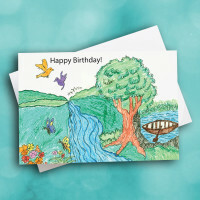 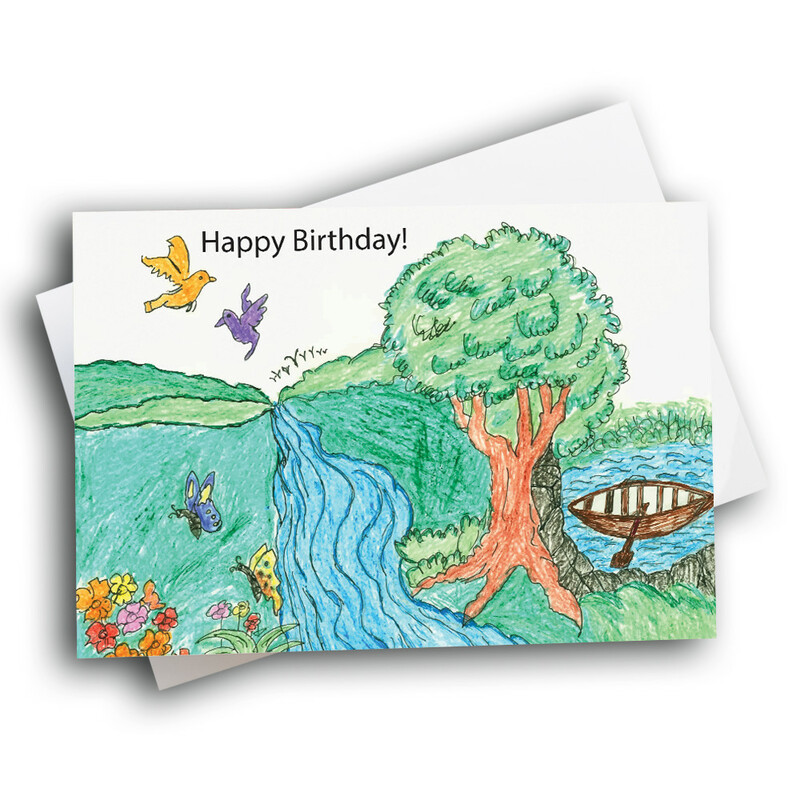 Based on hand-drawn artwork, this tranquil birthday card is sure to bring a smile to whoever recieves it. 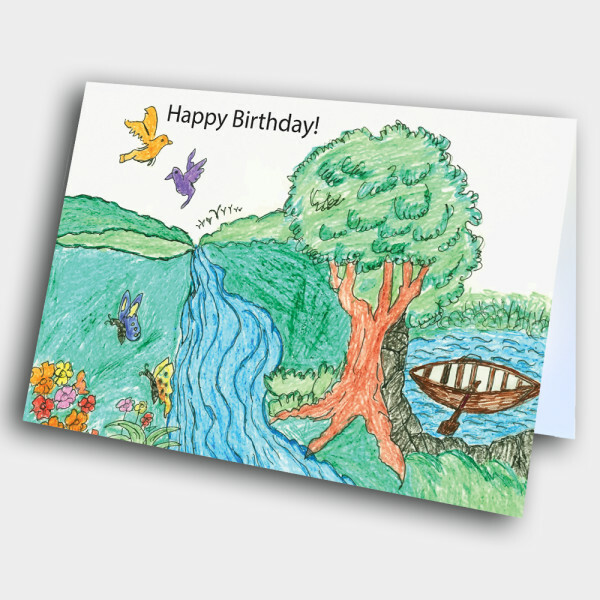 The front features a beautiful nature scene, with birds and butterflys, and a majestic tree. 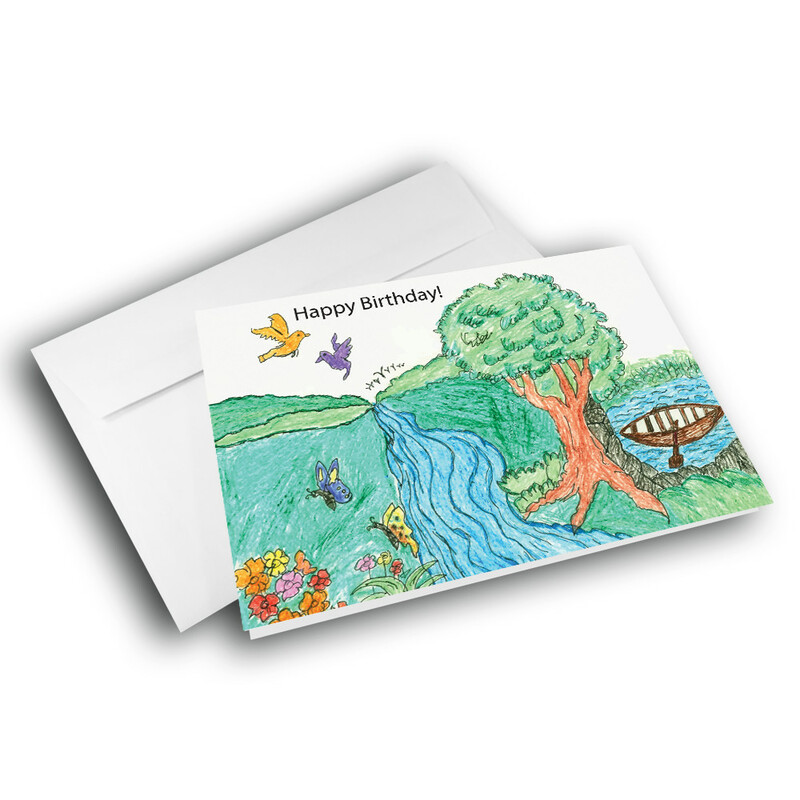 The simple birthday greeting is printed across the top. 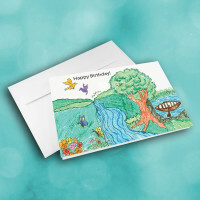 Add a personalized message inside to make this birthday greeting card even more meaningful.